One of the best things about owning a motorbike over a car is that it’s easier to fix. If you own a car, there are a lot of repairs that need to be done by a mechanic most of the time. But with a bike, the engine is easily accessible and fixing it is a lot simpler, which means that you can maintain it properly and it’ll last you a lot longer. However, a lot of people don’t really know what they’re doing when it comes to proper motorbike maintenance. If you decide that you’re just going to make repairs anyway, you could end up doing a lot more damage to it. A lot of people don’t really know how to look after the bike properly either, which means that it’s going to need repairs a lot more often. If you’ve just got your first motorbike or you’ve had one for a while and you want to look after it better, here are some great tips on maintaining it properly and doing good quality repairs on it. Our first maintenance tip comes before you’ve even purchased the bike. If you’re buying a used motorbike, it’s important that you inspect it properly before you hand any money over. Ask for copies of all of the maintenance records, ask them how often they changed the oil and gave the engine a once over. Then you need to look for any signs of damage or broken parts. Any dents or scratches on the bodywork aren’t a problem, but anything in the engine that doesn’t look right is a big red flag. Ideally, you should take it for a test drive and see how it rides before you agree to buy it. If you spend your money on a second hand bike that isn’t in good condition, you’ll struggle to maintain and repair it properly. When you first get a new motorbike, it’s important that you break it in properly. If you ride it hard straight away you’re going to do some damage so you need to be careful with it for the first few thousand kilometres. Every bike is a little different but the manual should have some guidelines on how to break it in properly. Make sure that you read them properly and follow them, otherwise, you’ll regret it in the future when you start getting loads of problems. A second hand motorbike will already be broken in properly so this only applies to brand new ones. When you do need to do repairs, you shouldn’t have to take it to the mechanic that often. Usually, you can source the parts yourself and do all of the necessary repairs. When you’re buying parts for your bike, it’s important that you buy good quality stuff from companies like Solomotoparts and don’t just go for the cheapest option. You might think that you’re saving money by getting cheap parts, but they’ll just end up failing again quickly and you’ll have to keep doing the same repairs over and over. Poor quality parts could also end up damaging other areas of the engine as well if you’re not careful, so never go for the cheap option. Getting to know the engine properly will make it easier to spot when there is a problem and you’ll be better equipped to fix it. Do some research into the general workings of a motorcycle engine and what all of the parts do. You should also try to get hold of a repair manual for your specific bike and read through it, you’ll find it a lot easier to repair if you do. Good lubrication is key to motorcycle care and longevity. If the moving parts aren’t properly lubricated, they’ll rub and wear down, making them a lot more likely to break. The steering head bearings, the wheel bearings, the swingarm, and the suspension all need to be lubricated on a regular basis. If you do it properly, you’ll find that you don’t have that many problems, but if you skip it, you’ll end up having to replace parts more regularly. If you don’t look after your chain properly, it’ll cause you a lot of problems with your wheels and gearbox. You need to adjust it so it has just the right amount of slack at the tightest point. If it’s too tight, it’ll put extra strain on the gearbox. You also need to lubricate it properly. The best time to do this is just after you’ve finished a ride when the chain is still warm, this allows it to soak in better. 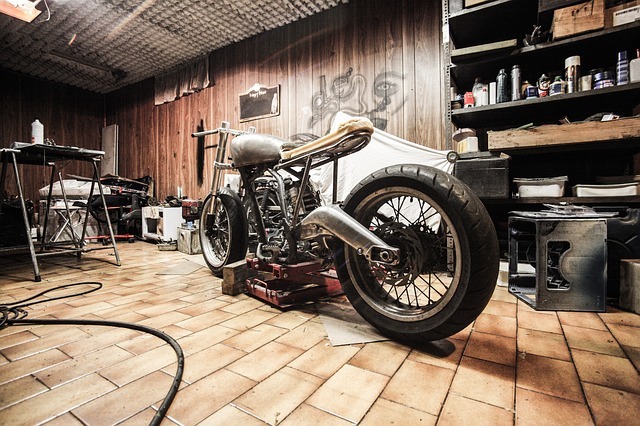 If you follow these maintenance and repair tips, your motorbike will last you a lot longer and you shouldn’t have to spend too much money on upkeep. « What Makes a Family-Friendly Community?